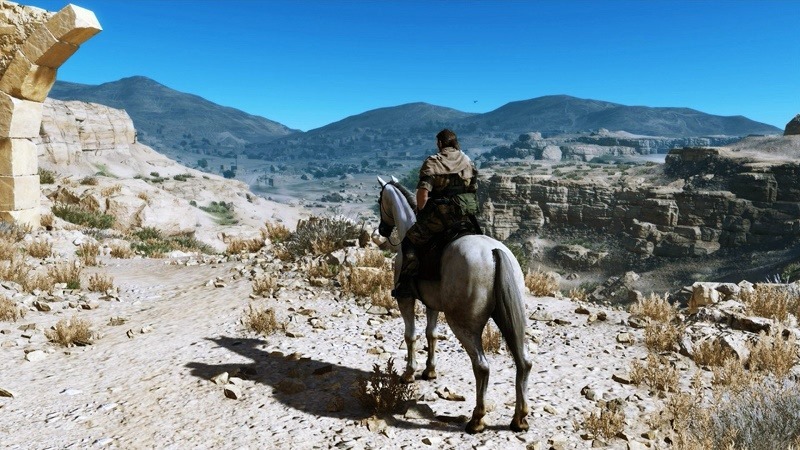 Metal Gear Solid V is the first game in the long running espionage series to introduce a truly open-world to explore. It opens up more tactical options for players to explore that previous games could only dream of, but Hideo Kojima has been coy about just how big The Phantom Pain really is. That hasn’t stopped Ocelot himself from describing it as the biggest game he’s ever seen. Ocelot voice actor and jack of all character names, Troy Baker, has described just how big the sequel is during an interview on Kinda Funny Games. When big games worlds are discussed, Skyrim is immediately brought in as a unit of measure. But Baker says it’s nothing compared to The Phantom Pain. It may be the biggest game I’ve ever seen. Just in terms of everything that you can do. Skyrim looks like an afternoon playpen next to it. It’s massive. It’s absolutely massive in what you can do. He goes on to express how well the game fits in with the rest of the franchise, which bridges a gap between the two different ears of two different Snakes. I’m anxious to see how people will look at this new Metal Gear, because it’s really different man. It fits perfectly within the rest of the franchise, and in same ways I think it’s…. It’s gonna be really good, but I’m really curious to see what people think. It was previously revealed that The Phantom Pain, as big as it is, will soft lock you into an area during missions so that you don’t wander too far off course. The world is completely open outside of missions though, and considering we’ve only really seen two areas I excited to see where Snake is able to globe trot to. Now all we really need is a release date. Trust Hideo Kojima to keep us waiting as long as possible though.